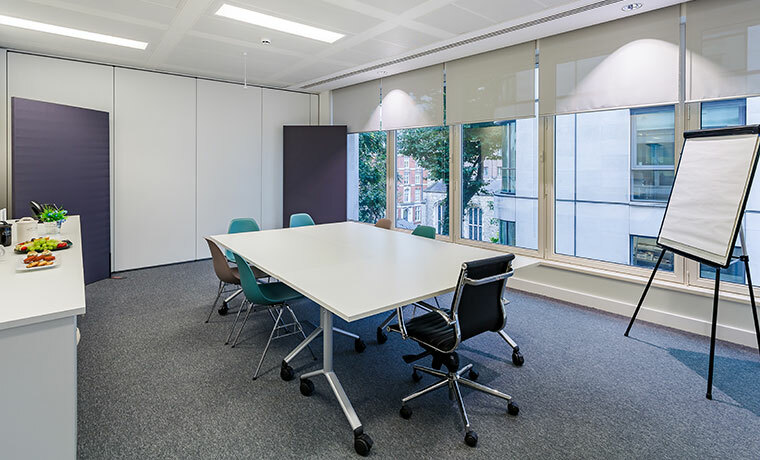 Tottenham Court Road studio and Holborn client viewing rooms overlook the tranquil and peaceful surroundings of the Queens’ Savoy Chapel and private gardens. The client viewing room can comfortably seat and accommodate 20 people with additional lounge seating area. This is an incredibly spacious viewing room. 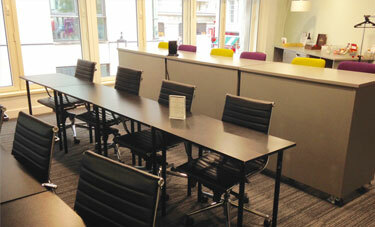 The Tottenham Court Road participant room can fit in groups of up to 10-12 boardroom style. The Oxford Circus and Tottenham Court Road studios have a moveable partition wall set between them that can open up to make one very large studio space (size 12.4 m x 4.1 m), ideal for film screenings, presentations and workshops. It can comfortably accommodate 40 or more people theatre style. Dual viewing rooms available in this set up.